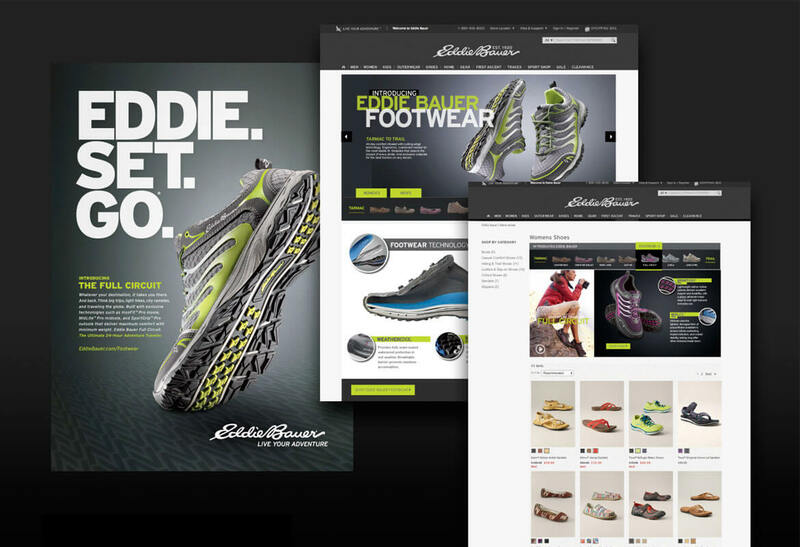 For the Eddie Bauer footwear launch in 2015, I worked closely with the brand team, product designers, writers, and photographers, to create a unique e-commerce experience including an interactive product selector, custom product detail page, and email campaigns. 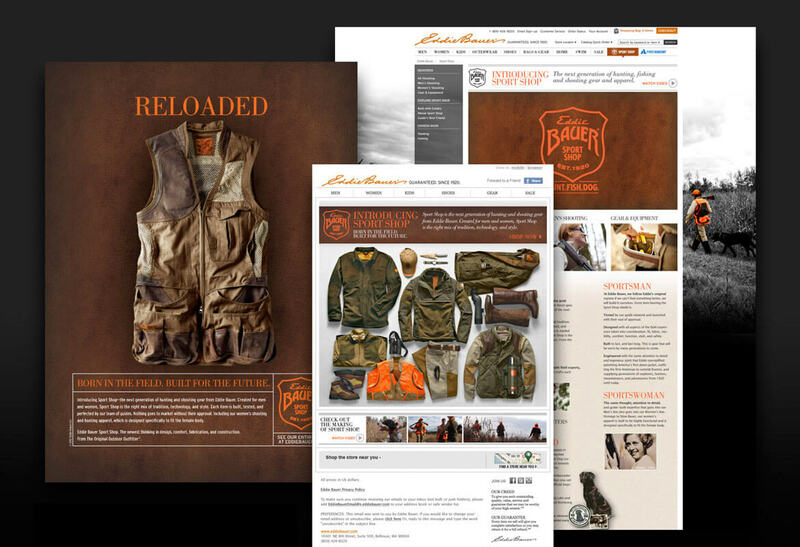 The Sport Shop launch called for a unique category landing page on eddiebauer.com that announced the launch, communicated the history of the brand's involvment in hunting and fishing, athlete profiles, and featured products. Fifty years after the historic expedition that put the first American on the summit of Mt. 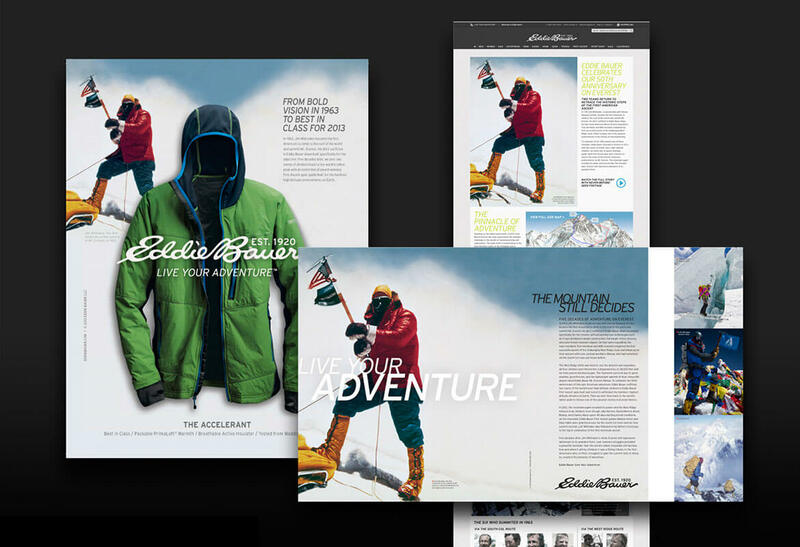 Everest, Eddie Bauer assembeld a team of climbers to retrace the steps that the original team took back in 1963. 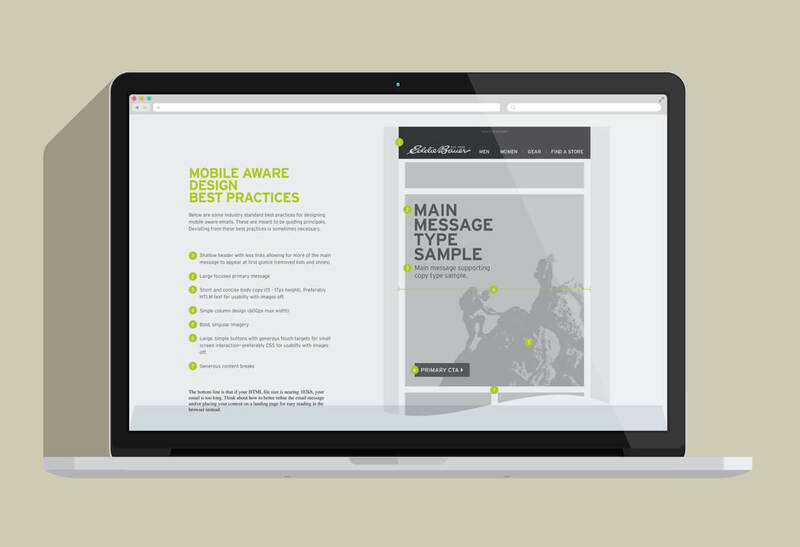 As part of the omni-channel experience, I created a one-page micro-site experience that featured bios of athletes and climbers from both eras, the routes they pioneered, the gear that they took with them and the trials and hardships of life on the mountain. It included video interviews and historic never-before-seen footage and photos. 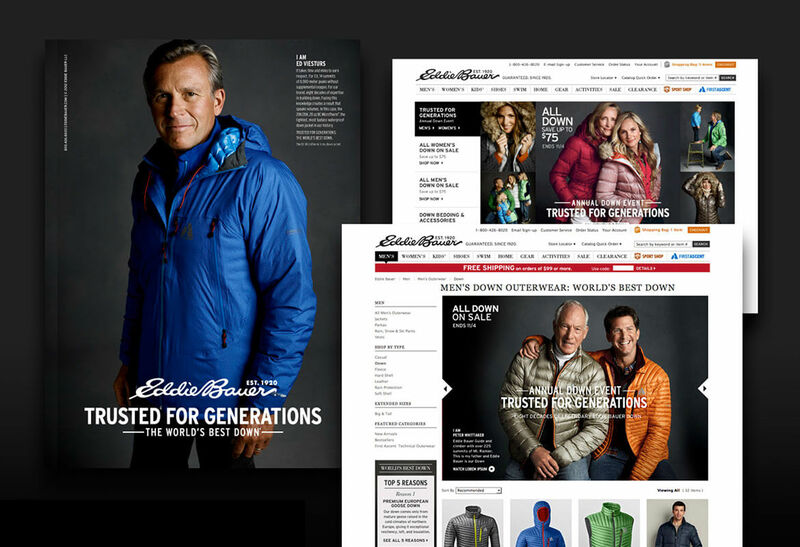 For generations outdoor enthusiast have relied on Eddie Bauer down jackets to keep them warm in cold temps. This campaign showed a little bit of the softer side of the outerwear business, connecting the gear with multiple generations of Eddie Bauer athletes, like big Jim Whittaker and his son Peter.